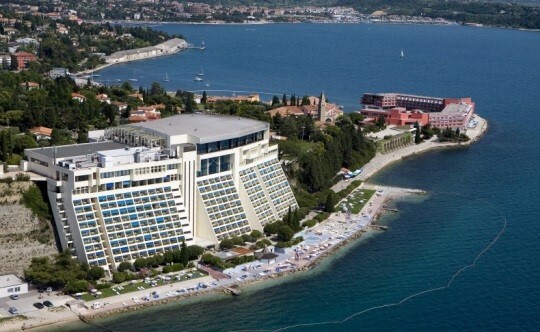 Located at the western side of Portoroz, the prestigious Grand Hotel Bernardin is Slovenia’s premiere convention hotel. Set in a tranquil verdant environment it enjoys excellent location right beside the sea. Each of the 241 rooms boasts a five-star modern interior, balcony and a sea view; nine rooms are of premium standard, in addition to which there are also ten luxury apartments. The Histrion Hotel is situated next to the former monastery church St. Bernardin which gave its name to the resort. With direct access to the Laguna Bernardin Water Park and Casino Bernardin, the Hotel offers 276 comfortable rooms and apartments, each with balcony overlooking the sea or the lagoon. The Vile Park Hotel is comprised of 5 villas – four of which, the Vila Galeb, Vila Galeja, Vila Orada and Vila Nimfa – encompass 216 rooms, while the Vila Barka contains 21 apartments. There is also a stylish shopping street with bars and restaurants which leads to the lagoon sheltered by lush Mediterranean vegetation. Not included: tourist tax of 2,50 EUR per person per day and admission fee 1,00 EUR per person. For accommodating person and people who are staying longer we can organize from 1/2 day to more days trips and excursions upon requests. Hotel is organizing hotel link with discount for hotels selection. Next hotel is in 15 minutes walking distance or more and we recommend guests to stay at the location with affordable prices too. 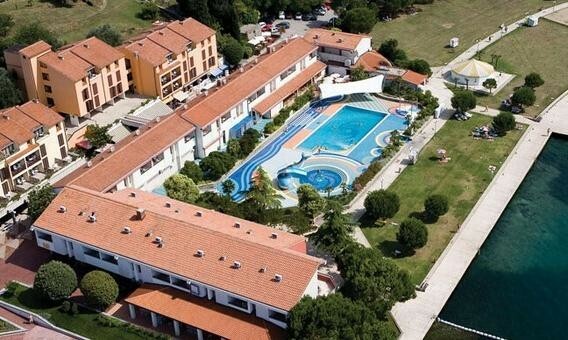 Hostel offer is available on request in Portoroz and Piran.